John W. Carlson’s new philosophical dictionary is an impressive and valuable work of scholarship inspired by love of wisdom, St. Thomas, and Bl. John Paul II. Dr. John W. Carlson is a professor of philosophy at Creighton University. He is the author of Understanding Our Being: Introduction to Speculative Philosophy in the Perennial Tradition and the recently published Words of Wisdom: A Philosophical Dictionary for the Perennial Tradition (Notre Dame, 2012). He was recently interviewed by Carl E. Olson, editor of Catholic World Report, about the importance of philosophy, Blessed John Paul II’s encyclical Fides et Ratio (1998), and the reason he penned a dictionary with 1,173 entries. CWR: Let’s begin with a Big Picture question: what is the state of philosophy today? I ask because philosophy today seems to be dismissed often by certain self-appointed critics. For example, the physicist (and atheist) Lawrence Krauss, author of A Universe from Nothing, said in an interview with The Atlantic that philosophy no longer has “content,” indeed, that “philosophy is a field that, unfortunately, reminds me of that old Woody Allen joke, ‘Those that can’t do, teach, and those that can’t teach, teach gym.’” Why this sort of antagonism toward philosophy? Dr. Carlson: So Krauss in a single sentence denigrates both philosophy and gymnasium. May we begin by remarking that Plato—who thought highly of both—would not be impressed? I would hope that this statement applies as well to the accounts in Words of Wisdom. CWR: Turning to the realm of Catholic philosophy and belief: Blessed John Paul II’s encyclical Fides et Ratio (1998) met with criticism and even derision from certain Catholic intellectuals. Why was this? And how is it that the encyclical had such an important impact on you and other philosophers? Dr. Carlson: As readers of CWR will be aware, in recent decades there has been considerable debate in Catholic circles about continuity vs. discontinuity in Church teachings. Somewhat connected with this has been ongoing controversy about the significance of philosophy for theology. In Fides et Ratio—as well as earlier writings such as Veritatis Splendor (1993)—Blessed John Paul II staked out definite positions on these questions, positions that have been maintained and elaborated upon by his successor, Pope Benedict XVI. These positions, which emphasize the continuity in doctrinal teachings, as well as the central role of philosophy in human reflection on the Christian message, proved unwelcome to a number of Catholic thinkers—in particular a number of professional theologians. Regarding the role of philosophy, during the post-Vatican II period many theologians—not without reason—came to regard this discipline as a veritable tangle of competing methodologies and systems; and they looked instead to the natural and social sciences as dialogue partners. (This phenomenon also perhaps reflected the influence of “scientism,” discussed above.) Now, the late pope took great interest in, and had the highest regard for, genuine science. But his constant theme in Fides et Ratio is that philosophy traditionally has been, and must continue to be, theology’s principal intellectual partner—indeed that, ideally, the two should complement and condition one another. That is, if theology is to be a vehicle of God’s truth to the nations, it must be formulated in critical and universal terms—terms such as are developed in philosophy. By the same token, if philosophy is to contribute to reflection on the Christian kerygma, it must embrace certain high aims: for example, that it be “sapiential,” seeking to develop an overarching framework for human knowledge and action; and also that it articulate accounts of “genuinely metaphysical range,” i.e., ones which go beyond the empirical order and which, in turn, can be brought to completion by the revealed word of God. CWR: The subhead of your new volume is “A Philosophical Dictionary for the Perennial Tradition.” What is the “perennial tradition”? 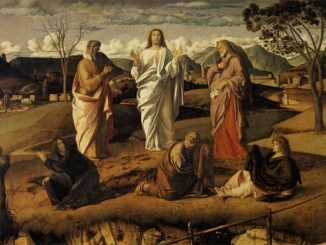 What is its place in Catholic philosophy and theology? What has been the history of its development? Dr. Carlson: The terms “perennial philosophy” (in Latin, philosophia perennis) and “perennial tradition” have a long history. The Latin phrase apparently was first used in the mid-16th century by Agostino Steucho, a Vatican librarian who composed a treatise with this title in which he correlated the works of Plato and Aristotle with those of the ancient Chaldean sages. In succeeding centuries a few writers, including G. W. Leibniz, also spoke of a “perennial philosophy.” But it was in the early 1900s that the term reappeared with special force. Writing in the wake of Pope Leo XIII’s encyclical Aeterni Patris, scholars such as Maurice de Wulf and Jacques Maritain referred to the philosophia perennis in a way that privileged the work of St. Thomas Aquinas and his close followers. Such a tradition also is referred to, implicitly or explicitly, throughout recent magisterial documents—e.g., Vatican II’s Optatum Totius (in which it is decreed that philosophical education in seminaries should rely on the “philosophical patrimony which is perennially valid”); John Paul II’s Fides et Ratio and other writings, where it frequently is called the “enduringly valid” tradition; and, most recently, a January 2011 document from the Congregation for Catholic Education, which again specifies that a solid grounding in the perennial philosophy is essential to the intellectual formation of priests. It should be noted that in the last half-century the word “perennial,” unfortunately, has become equivocal in its use. In 1946 the British writer Aldous Huxley published a book with the very title “The Perennial Philosophy.” However, Huxley—and those who followed him in this regard—meant by this phrase something very different: a supposed distillation of common elements of the world’s “wisdom traditions,” both religious and philosophical. Whatever one may think of the merits of such an effort, its result clearly is not the philosophia perennis as understood in the 20th and now 21st century Catholic intellectual tradition. CWR: How has the perennial tradition been treated within Catholic colleges and universities in the US over the past several decades? Have there been positive developments that played a role in the genesis of your project? Dr. Carlson: Through much of the 20th century, including the years of Vatican II, this tradition held pride of place in Catholic colleges and universities. Readers of my age-group who attended such institutions will remember taking four, five, or even more courses in philosophy—all rooted in the thought St. Thomas Aquinas—as part of their undergraduate core curricula. Typically, the courses in question included treatments of the philosophy of nature, the human person, metaphysics, ethics, and philosophical theology. After the Council, the perennial tradition went into a period of semi-decline. This was due to a combination of factors, including, no doubt, the generally fractious character of Catholic intellectual life in the late 1960s and succeeding decades. The effect on philosophy was that newer forms of thought, as well as more explicitly historical inquiries, came to capture the attention of many scholars at Catholic as at other institutions. As indicated by the remark by John Paul II quoted in the preceding section, this in itself was not a bad thing. But the idea of a broad-based philosophical education which contributed substantively to the intellectual formation of students, and which stood as an intellectual partner for theology, was somewhat eclipsed. However, during the past 20 years—and especially since Fides et Ratio—there have appeared strong signs of a further renewal of perennial thought. These include remarks in various magisterial documents; but they also include a plethora of new scholarly studies, reprints, translations, conferences topics, and, recently, websites devoted to the tradition. I indicate some of the principal authors in question at the end of this discussion. CWR: When and how did you begin working on Words of Wisdom? What criteria did you use in selecting and defining terms? How are individual entries organized? Dr. Carlson: In the spring of 2000, shortly after the publication of Fides et Ratio, I taught a course in the Creighton University honors program on the renewal of the Thomist tradition, with a special focus on “speculative” philosophy—i.e., philosophy of nature, the human person, metaphysics, and God. The students were generally open to learning about the “perennial philosophy,” but they rightly complained of a lack of materials to help them master the quantity of new terms, with their complex interrelations, that were being presented. (A volume titled Dictionary of Scholastic Philosophy had been published by Father Bernard Wuellner, SJ in 1956; but it had been out of print for several decades, and nothing had replaced it.) By mid-semester I began developing and distributing pages of philosophical “glossary.” After that, the project kept expanding—almost taking on a life of its own—as I added terms from other branches of philosophy, especially moral and political philosophy, as well as further terms of various sorts that also seemed to merit treatment. Some 10 years later, after much critical support from scholarly colleagues, and much emotional support from my dear wife, I had a manuscript of Words of Wisdom ready to send to the University of Notre Dame Press. Your questions about the selection and organization of entries are treated in detail in the book’s introduction. One writer of a “blurb” for the volume’s back cover, the British Dominican Aidan Nichols, kindly remarked that this introduction “shows how carefully [the dictionary’s] aim and method have been thought through.” Briefly, the chief focus is on terms, along with their sometimes multiple meanings, that play a role in the philosophical writings of St. Thomas Aquinas and his close followers. (Aquinas’ use of terms underwent some development during his career; moreover, in certain cases there is scholarly dispute about exact meanings. In order to deal with these issues—without, I hope, engaging in misleading oversimplification —I take Aquinas’ mature work, the Summa Theologiae, as normative; and, while I sometimes discuss alternative interpretations of terms, whenever choices must be made I follow the lead of Jacques Maritain and Yves R. Simon.) In addition, the dictionary has entries for terms representing other philosophical schools—especially ones with which the Catholic intellectual tradition has had significant contact—as well as for terms illustrating the influence of philosophy on the formulation of Christian doctrine. Each of the 1,173 entries is headed by a term (i.e., a word or phrase), and includes some or all of the following elements: an etymological note; an account of the term’s meaning(s), which, if plural, are given distinct numbers; an example of the term in actual use; a brief discussion of historical or other matters that clarify the term’s meaning; critical remarks in support of or against the pertinent philosophical point; reference to other entries in the dictionary with which this one can usefully be compared and contrasted; and a listing of root-related words whose meanings can be derived from the account given in the entry. CWR: How is this dictionary unique in content and approach from other philosophical dictionaries currently available? What sorts of readers might especially benefit from using it? Dr. Carlson: Let me say candidly that at the beginning of the project I was somewhat unfamiliar with the range of philosophical dictionaries then available. But as I began to explore these materials, general features of the volume I wanted to develop came rather quickly into view. The dozen or so specialized dictionaries on offer in 2000 seemed unsuitable for my and my students’ purposes, since in general they either were silent about, or treated quite inadequately, terms of importance to the perennial tradition—e.g., act, being, conscience, end, existence, good, intellect, moral precept, natural, perfection, subsistence, transcendental, voluntary, and wisdom. My impressions in this regard were confirmed by others with whom I discussed the dictionary project. In particular, I recall a conversation with the library director of a small Catholic university in California at a conference in 2005; I had made a presentation about my developing work, and he came up afterward to offer encouragement. He said that as things stood he winced whenever students came to him seeking resources for grasping philosophical terminology; for, he well knew, the materials available were largely unhelpful for appreciating the Catholic intellectual tradition. As an example of all this, we might comparatively consider the dictionaries’ treatments of “being” and related terms. Words of Wisdom delineates five distinct uses of “being” in the perennial tradition—as a term corresponding to “that which is”; as one that refers to the first of the transcendental perfections; as one that names the formal subject-matter of metaphysics; etc. It also has separate entries on “be,” “essence,” “existence,” and “act or actuality.” By contrast, the popular Penguin Dictionary of Philosophy offers no account of either “be” or “being.” Further, the discussion of “being” in The Oxford Dictionary of Philosophy opens with the remark, “Everything real and nothing unreal belongs to the domain of Being. But there is little useful that can be said about everything that is real, especially from within the philosopher’s study.” And in the entry for “existence” in the volume Philosophical Dictionary, the author distinguishes between “conceptual” and “material” or “real” existence; he then comments that an object exists really only if it is changeable—and thus rules out by definition the very type of existence (unchanging and eternal) that Aquinas and the perennial tradition have taken to be supremely real and the source of all other existence! As to groups that might especially benefit from Words of Wisdom, the first obviously would be Catholic college and university students, as well as their instructors. Interest also is being shown by persons who have some prior acquaintance with the perennial tradition (e.g., through undergraduate courses, or through diocesan religious education programs) and who wish to pursue a fuller understanding. Finally, but importantly, I hope that students in Catholic seminaries and institutes of theological formation will find my volume a useful resource. CWR: What would be examples of terms treated in Words of Wisdom that you find to be most often misused or misunderstood? Dr. Carlson: To continue the point discussed above, it is remarkable how differently—and sometimes cavalierly—people (including professional philosophers) treat terms like “being” and “existence.” Of course, to actually demonstrate that the various competing accounts are mistaken or inadequate requires considerable argumentation. Another term, or pair of terms, that often are misunderstood are “natural” and “unnatural”—which obviously, for the Catholic tradition, have significance for topics in ethics. Here again Words of Wisdom offers a multi-form account: in one sense, what is natural is whatever happens in nature, by contrast, say, with what is artificial; to be unnatural in this sense carries no negative moral implication—if it did, all of medicine and other technologies would be suspect! But in another sense, what is unnatural is whatever goes against the genuine fulfillment of a being’s nature, and/or one of its powers or acts. In this case, if we are speaking of human nature, and of explicitly human acts (i.e., ones freely undertaken in view of an end), what is unnatural is unworthy of human choice. Once again, to actually demonstrate that certain acts should be seen in this way requires significant resources—but ones the perennial tradition has developed and maintained. Another area in which there has been misunderstanding and confusion relates to the meanings of “analogous,” “metaphorical,” and “symbolic,” especially in relation to religious language. As most CWR readers will recall, last year the USCCB Committee on Doctrine severely criticized a work called Quest for the Living God, by Fordham University theologian, Sr. Elizabeth Johnson, CSJ. As I see it, a principal intellectual mistake by Prof. Johnson lies in assimilating the notion of analogy to the other two notions, and thus in treating all language about God as non-literal. For her, God’s incomprehensibility actually seems to entail that we can make no cognitive references to the divine reality. Part of a solution here involves careful distinctions among the relevant terms. When we speak of God in ways that truly are metaphorical or symbolic (e.g., “God is my rock” or “God is my fortress”), we “carry meaning over” (the Greek is meta pherein, from which our English word “metaphor” is derived); that is, we relate in an imaginative way things that belong to essentially different orders. Thus part of correctly understanding such language is recognizing that the new use of words is non-literal. But when we speak of God by way of terms that philosophy identifies as analogous (e.g., “God is good” or “God is wise”), we understand that there is a real relation that grounds the similarity between these statements and ones affirming that particular human persons are good or wise. Strictly speaking, that is, analogous language is a type of literal or designative language (although it is distinct from what is called “univocal” language, in which a word has exactly the same meaning in various contexts). Finally, let me mention a set of terms which, in my experience, are frequently confused by unwary students, among others: “eminent,” “immanent,” and “imminent.” Although not exactly homonyms, these terms sound a lot alike; yet their meanings are quite distinct. To be imminent is to be about to happen, as in the case of an unavoidable auto accident. To be immanent is to have a special presence (e.g., God’s immanence vis-À-vis the world, or knowledge—the end of an intellectual act—as remaining within the agent). Lastly, to be eminent (or, sometimes, “supereminent”) is to enjoy a quality or perfection in an especially high way (e.g., when we speak of an eminent statesman, or God’s supereminent possession of perfections such as being and free choice). CWR: Who are some of the philosophers of the past century who have guided and influenced this dictionary project? Are there particular works you think are essential reading for students of St. Thomas and the perennial tradition? Dr. Carlson: Most scholars would say there is no substitute for reading pertinent sections of Aquinas’ own writings, especially the Summa Theologiae, which now is widely available in English, in both print and online formats. Regarding 20th and now 21st century commentaries and developments, let me mention the bibliography at the end of Words of Wisdom, in particular its second part, which University of St. Thomas (Houston) scholar John F.X. Knasas has called “a most representative bibliography of contemporary Thomists.” This section lists nearly 300 titles by 170 different authors. Two who are prominently listed already have been mentioned: Jacques Maritain and Yves R. Simon. Also worthy of special note would be Etienne Gilson, Josef Pieper, Charles DeKoninck, Fr. Joseph Owens, C.Ss.R., Msgr. John F. Whipple, Peter Kreeft, and one of my great teachers, Ralph McInerny; also Dominican scholars such as Benedict Ashley, William A. Wallace, Lawrence Dewan, and Aidan Nichols; and Jesuit scholars such as George P. Klubertanz, Austin Fagothey, W. Norris Clarke, and James V. Schall. Younger scholars who are making significant contributions to the perennial tradition include Steven A. Long, Christopher Kaczor, Matthew Levering, Fr. Kevin Flannery, SJ, and Fr. Thomas Joseph White, OP. In addition, we should note philosophers who have sought to assimilate to the perennial tradition the resources of phenomenology and personalism, e.g., Poland’s “Lublin school” (which included Fr. M.A. Krapiec, OP, as well as the future pope Karol Wojtyla), St. Edith Stein, Dietrich von Hildebrand, and, in this country, Msgr. Robert Sokolowski. Finally to be mentioned are scholars who treat themes in Aquinas in light of recent British and American analytic philosophy, in particular, John Haldane, Norman Kretzmann, and Eleonore Stump. If I were asked to recommend a single volume with which an interested reader might begin, it probably would be Josef Pieper’s In Defense of Philosophy—a relatively short and accessible work, the English translation of which was published by Ignatius Press in 1992. Eventually one would want to tackle larger and more difficult works by authors such as those mentioned above. And, of course, a reliable dictionary of philosophical terms might prove to be a valuable asset!